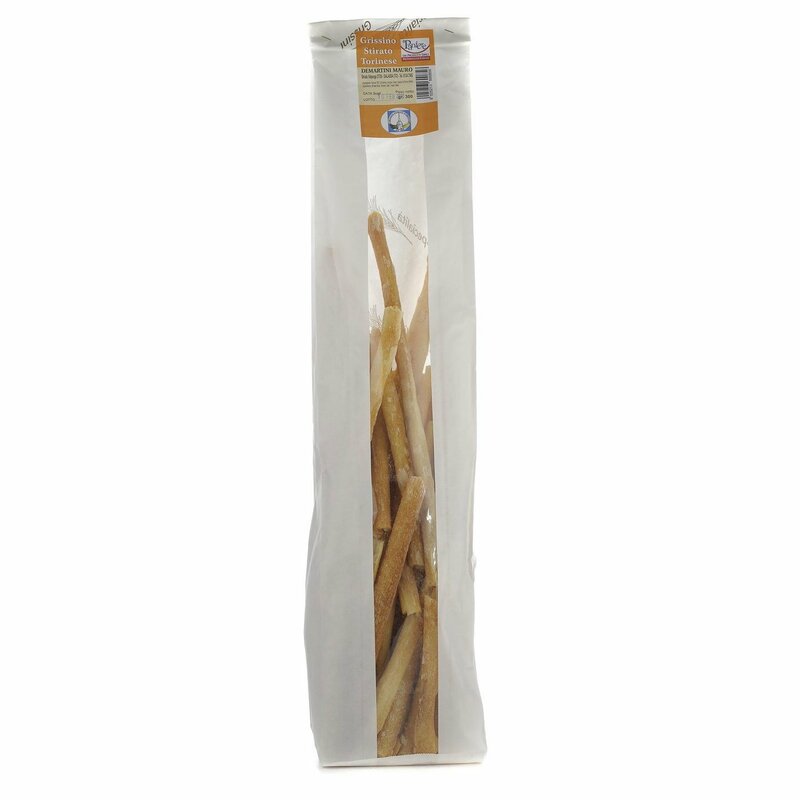 If you want to discover Turin, start with the fragrance of its typical pulled Grissini breadsticks. The characteristic dough for this breadstick is elastic and can be worked manually, with the expert gestures of the artisans of Torinese taste. 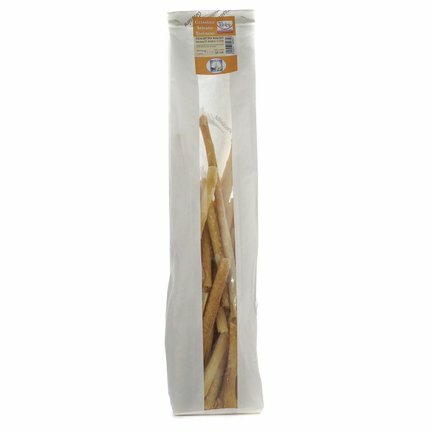 This process results in very thin, long and light Grissini breadsticks that turn golden brown while baking and curve slightly at the ends. Take a bite of Piedmontese tradition thanks to Eataly! Ingredients "00" flour, gluten, water, salt, brewer's yeast, malt. Allergens: traces of gluten, lactose, sesame. For more information on product labels, please contact our Customer Service department. The information on the labels of the products may vary for reasons beyond our control, therefore, there may be discrepancies between the information on the site and that on the products delivered. Please always check the information on the product before consumption or use. The Province of Turin has created a basket of typical products from the best producers from the Province. Discover the specialties that derive from the oldest traditions: the Lanzo torcetti, canestrelli, the mint products from Pancalieri, the Pecetto cherries, the honey from the Alpine Valleys, the chestnuts from Val Susa. Turin..is delicious!